Since April 2002 the replacement of windows and doors has been subject to Building Regulations and a householder can either apply for Building Regulations approval or allow the installation company to deal with the issue through its membership of FENSA. This section explains what FENSA is and what the advantages are of using FENSA instead of a Building Regulations application. Glazing in newly built properties has for many years been subject to Building Regulations approval but in April 2002 replacement glazing in existing residential properties was brought within the scope of Building Regulations. For new buildings where a planning application and building regulations approval are generally sought at the same time, the situation has changed little. But bringing the vast number of replacement glazing installations each year (around two million in 2010) into existing residential properties under the scope of Building Regulations required another organisation to be formed. FENSA, now with over 9,000 member companies, was formed to administer the bulk of the applications otherwise local councils probably would simply not have coped with the volume or work. FENSA registered businesses are vetted by taking consumer and trade references together with financial checks. They must have at least £10m Employer’s Liability and £2m Public Liability Insurance. Their order forms must include a 7 day cooling off period and any guarantees clearly explained. Contracts for all installations carried out by FENSA registered installers must include a 5 to 10 year guarantee which is covered by an insurance backed warranty and deposit protection insurance. FENSA is trusted by all Local Authorities and the Government. All FENSA registered companies are continuously re-assessed by an independent inspection body to ensure consistency of Building Regulation compliance. Using FENSA is cheaper and easier using than your Local Authority Building Control department. Without causing such deflection or deformation of any part of the building or such movement of the ground, as will impair the stability of any part of another building. With regard to windows and doors, this applies to load bearing windows such as bay windows where lintels have not been used. When replacing windows and doors it is vital that the integrity of any existing structural support is not compromised. The requirement for lintels is determined by the design of the structure of the building and the installation company is responsible for assessing whether a lintel is required or not – regardless of whether there is one installed prior to removal of existing windows and doors. When removing a bay window, temporary structural supports should be used to ensure that walls, floors and beams are supported prior to removal. Where there is a two storey bay, the sequence of removal should ensure that structural stability is retained. Structural mullions should be removed individually and bearing plates should be used where bay poles transfer loads from or to masonry or timber. NB: If a structural opening is widened, Building Regulations apply and in this instance it is outside the scope of FENSA. 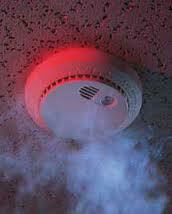 Approved Document B: Fire Safety, Read More.. The building should be designed and constructed so that there are appropriate provisions for the early warning of fire and appropriate means of escape in case of fire from the building to a place of safety outside the building, capable of being safely and effectively used at all material times. Except for kitchens, all habitable rooms on the ground floor should either open onto a hall leading to an exit or be provided with a window or door which satisfies the definition of a ‘fire escape’. Except for kitchens, all habitable rooms in the upper storeys, served with only one stair, should be provided with a window (or external door) which satisfies the definition of a ‘fire escape’, or direct access to a protected stairway. There shall be adequate means of ventilation provided for people in the building. For new dwellings, a target of four air changes per hour is required to ensure adequate ventilation and ideally, replacement windows should also achieve this. Where it is not possible, replacement windows should not make the existing situation any worse. There are two types of ventilation required in a building. Purge ventilation is required to remove pollutants and water vapour, though it may also improve thermal comfort and reduce overheating in summer. The total area of openings within all windows in any room should be at least 1/20th of the floor area of that room. Background ventilation promotes good air quality in a building and also helps to protect the fabric of the building against the effects of condensation and mould. Where trickle vents are used to provide background ventilation, then habitable rooms must have at least 5,000 mm² equivalent area and kitchens, bathrooms and other wet rooms 2,500 mm² equivalent area. Where the outgoing window provided background ventilation, the replacement window must also provide background ventilation unless high level ventilation such as an air brick is installed – night vent locking handles cannot be used as an alternative to trickle ventilation where the previous window provided background ventilation. 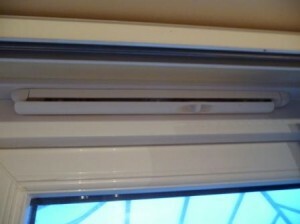 The main point is that there should not be a worse level of compliance after the windows are installed than before. Where a window or door is to be renovated or replaced, the work shall be carried out in compliance with the requirements below. • Centre pane U-Value 1.2 (W/m²K) – this only applies in exceptional circumstances such as in listed and historical buildings where to change the appearance of the existing windows would spoil the appearance of the façade. • All replacement doors should have a U-Value not exceeding 1.8 (W/m²K). Currently, only doors and frames with more than 50% glazing have to be registered with FENSA, though side panels, fanlights and adjoining windows are classed as windows for the purpose of these regulations and not part of the door. The British Fenestration Ratings Council (BFRC) Window Energy Rating Scheme grades windows into seven bands, from A to G, A being the most energy efficient and G the least efficient, in the same way as white goods such as refrigerators are graded. NB: When installing a plant-on bow (a bow conversion from a flat window), the window board below and roof above the bow must be adequately insulated to ensure compliance with the relevant Building Regulations. 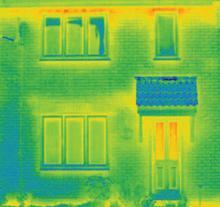 The effect of installing ‘A’ Rated casement windows compared to previously inefficient glazing can be demonstrated by photographing a property with a thermal camera. 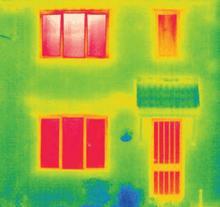 These thermal images show heat loss in red before new windows and doors were installed, compared to the lack of heat loss after installation. 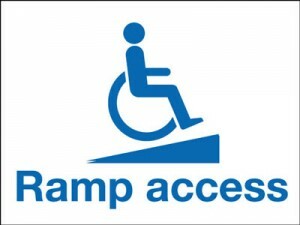 Reasonable provision shall be made for people to gain access to, and use the building and its facilities. The main requirement is that you should not make any building less accessible than it was before a replacement installation, e.g. the height of a sill (threshold) cannot be increased. When an outgoing door is compliant with new (2004) Building Regulations, the replacement door must also be compliant. Doors in areas of low weather exposure should have a threshold sill height no greater than 35 mm. Doors in areas of high weather exposure should have a threshold sill height no greater than 50 mm. The main entrance door to a property should have a clear opening of no less than 775 mm. Doors and Side Panels – Between finished floor level and 1,500 mm above that level, and within 300 mm of either edge of the door or side panel. Windows – Between finished floor level and 800 mm above that level. In bathrooms and showers, the finished floor level is taken from the inside of the bath or shower. On stairways, the finished floor level is taken from the highest tread within the width of the window. Where bay windows have built-in seats, finished floor level is taken from the seat. Exception – Safety glass is not required in small panes with the smallest dimension not exceeding 250 mm and an area not exceeding 0.5 m² each, although such glass should not be less than 6 mm in thickness, except in the case of traditional leaded lights, where 4 mm can be used. Best Practice – Though the regulations refer to permanent fixtures determining ‘floor level’ best practice would suggest that safety glass be installed where some temporary fixtures are positioned, such as bunk beds. 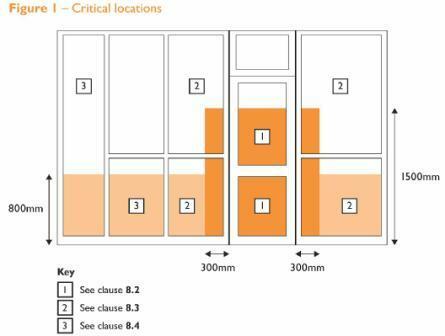 Only the two unlabelled panes do not require toughened or laminated safety glass in this illustration. As a general rule, the building should not end up after the installation with a worse level of compliance with Building Regulations than before the installation. For example, if the existing windows had trickle vents – so must the new ones, window openings cannot be made smaller than before and windows fitted with side opening casements cannot be replaced with windows fitted with just top opening casements above fixed panes. FENSA does not apply to new build properties, commercial buildings, caravans, holiday lets not occupied for more than 10 months of the year, conservatories or porches. Building Regulations may still apply to these buildings but should be dealt with under the Local Authority Building Control process. It is claimed that at least 25% of the heat in your house escapes through your windows and doors, so having energy efficient windows installed not only creates a warmer environment in your home together with lower heating bills – it is also good for the environment generally. The Government’s commitment to reduce emissions and reduce the potentially harmful effects of global warming is at the heart of legislation requiring that newly installed replacement windows and doors meet minimum standards of energy efficiency. Window energy ratings let you know how energy efficient replacement windows are, based on a scale of A to G in the same way that refrigerators and other household appliances are rated. They were initially introduced in 2004 by the British Fenestration Rating Council (BFRG) which is run by the Glass and Glazing Federation (GGF), though schemes have also been developed by other organisations. • The amount of air leakage through the window, or how draughty it is. Where the replacement windows are unable to meet the above requirements because of a need to maintain the appearance of the façade or character of the building, they should alternatively meet a centre pane U-value of 1.2. The A to G rating system was adopted as it gave a much clearer and transparent indication of the energy efficiency of a window than any previous measure – and it is understood by more members of the public who have already seen it displayed on household goods. 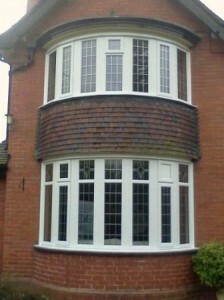 In October 2010 Part L of Building Regulations was amended to ensure that all new and replacement windows have to be rated as C or above, on the A to G scale. What is meant by U Value? U value is a measurement of heat transmission through a material and the lower the U value, the less the amount of heat it permits to be transmitted through it, or in other words, the greater the material has resistance to heat. This means that a material with a low U value is proportionately better at insulating than a different material with a higher U value. U value is expressed or calculated as W/m²K – watts per square metre Kelvin. Watts, being the measurement of energy, m² means that the U value is expressed per square metre of insulating material and Kelvin being a temperature scale commonly used by scientists. If a window has a U value of 1, for every 1 degree of temperature difference between the inside and outside, there would be 1 watt of energy flowing through (or lost) per year, for each square metre of its surface.